I often write about silver linings during tough times, and last night's double-overtime loss to the Washington Wizards with a multitude of Celtics stars out of action was certainly one of them. More specifically, I did expect our resident Moose, Greg Monroe, to play heavier minutes and contribute significantly to whatever Boston achieved. That is what he did. The Celtics seemed like a questionable fit for Monroe when they acquired him, but we are starting to see how the team can both utilize his strengths and minimize his flaws. Monroe is an excellent rebounder who scores efficiently around the rim. He can't defend well, but the Celtics have a lot of length and size, and when they put that around Monroe, they can force misses which he gobbles up. Offensively, Monroe's ability to play out of the high-post, attack the basket and grab offensive rebounds makes him effective. The big man finished with 16 points (8-for-9 shooting) and 10 rebounds on Wednesday, four of which were offensive. If the Celtics meet the Wizards in the postseason, Monroe's ability to box out, finish possessions and facilitate out of the high post will earn him minutes. Brad Stevens does as good a job as any coach in the NBA at maximizing his players' strengths and minimizing weaknesses. It shows in Greg's play, and we got a hint of it with Yabu. The Bear left the G-League Maine Red Claws, hopped on a plane to Boston and started the game against the Wizards. He handled it all very well. He was in the game for 18 minutes, scored four points, grabbed five rebounds, had one steal (shown in the tweet below) and finished with a plus/minus of +2. Brad on Yabu: "He was good. I thought he was solid, didn’t try to do too much and was pretty active, moved the ball around nice, which is what his strength is I think. He did a pretty good job guarding Markieff when he was matched up with him, which is a hard matchup." Brad's comment about Yabu being "solid" is important. 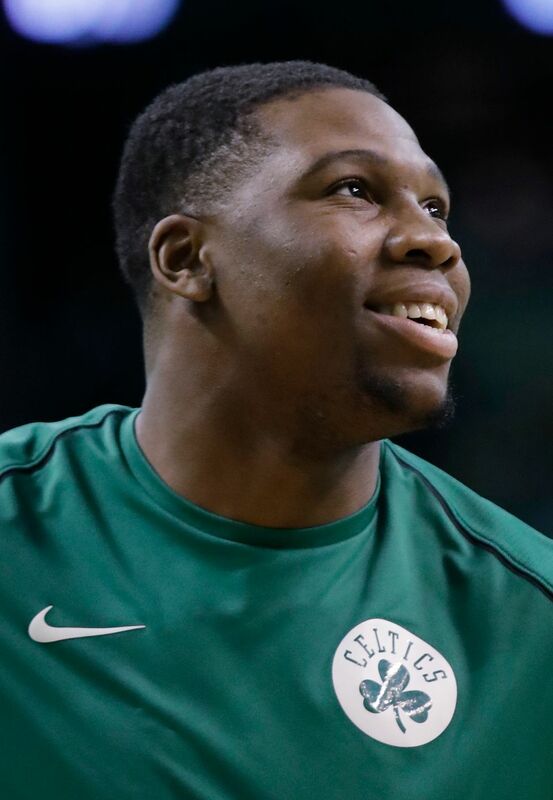 With Daniel Theis out for the season, we will be seeing more of Guerschon. His defensive moves can be deceptive. Because of his size, he appears to move slower than he really is. If he continues to display the ability to guard various positions and shows more production on offense, he can be a factor.